Revenue are now reviewing the tax affairs of limited companies and directors who provide contracted services to a larger company or group. 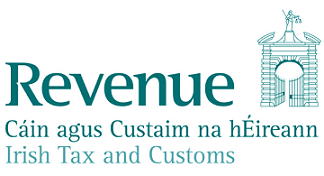 They have this week written to the Irish Tax Institute, confirming that that their review has already commenced in the South West region (counties Cork, Limerick, Kerry and Clare) and is “likely” in due course to extend to other parts of the country. Revenue state that they have already found “a significant understatement of tax liability” in many cases, which they attribute to “deficiencies in accounting for input costs and expenses”. In the coming weeks, contractors, and their tax advisors, will need to carefully review the implications of this news. The Institute of Tax website includes a pdf copy of the Revenue letter while you can also find a full transcript here. Next Post: Do You Have a Capital Gains Tax Bill This Thursday? 1) I am an IT contractor (resident but not domiciled in Ireland) that decides to create an LTD company in Ireland. What is the minimum salary I can get paid by my company? where is the limit for salary and dividends? 2) I am an IT contractor (resident but not domiciled in Ireland) that decides to join an UK LTD company as a Director, then this UK company will invoice my Irish Client. Do I have to pay taxes on foreign dividends in Ireland? Does it depends if the dividends enter Ireland or not? Do I have to pay taxes in the UK if I am not UK resident? the moisture to prevent the chance you could get mold. The following list provides reviews on the top 5 small dehumidifiers for the home. The Law of Correspondences of Classical Philosophy has another term ” The Doctrine of Signatures”. ” Furthermore, the author is not a doctor, and any information provided herein is to be considered personal opinion. out. Hamoa Beach at Hana Maui, ‘the most perfect crescent beach’ according to author James Michener’reachable by a breathtakingly beautiful 2-.
even if they are actually not.